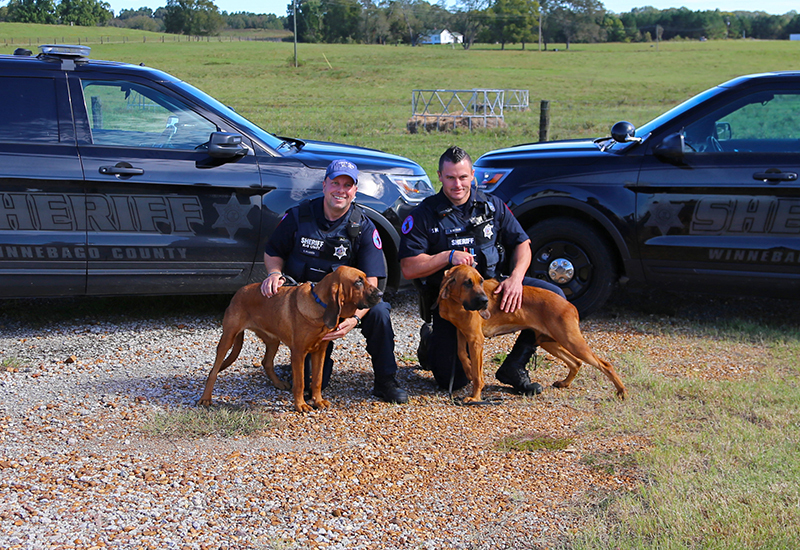 K-9 cops searching for more effective methods to find missing persons are utilizing new scent discriminate bloodhound trailing techniques to meet their objectives. 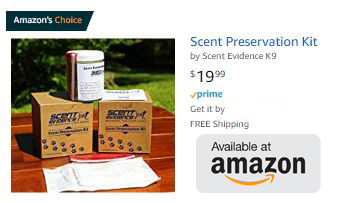 Scent Evidence K9 CEO and former FBI Forensic Canine Operations Specialist, Paul Coley, has made it his mission to develop better scent discriminate trailing techniques that increase location results while decreasing the time it takes to find the lost and bring them home safely. 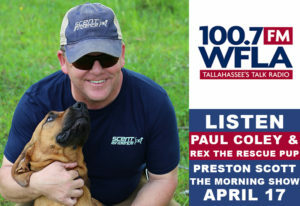 Coley states, “It all comes down to three components; the dog, the handler, and the scent article.” Getting those components right can dramatically increase the chances of locating a missing person or a hiding suspect. For many, the distinction between Trailing and Tracking may not be clear. Scent discriminate bloodhounds are capable of trailing a specific person’s odor over greater distances and longer periods of time with more precision than a tracking dog. Tracking dogs rely on footfall and ground disturbance which is not as specific to a particular person and can be affected by weather conditions and time. 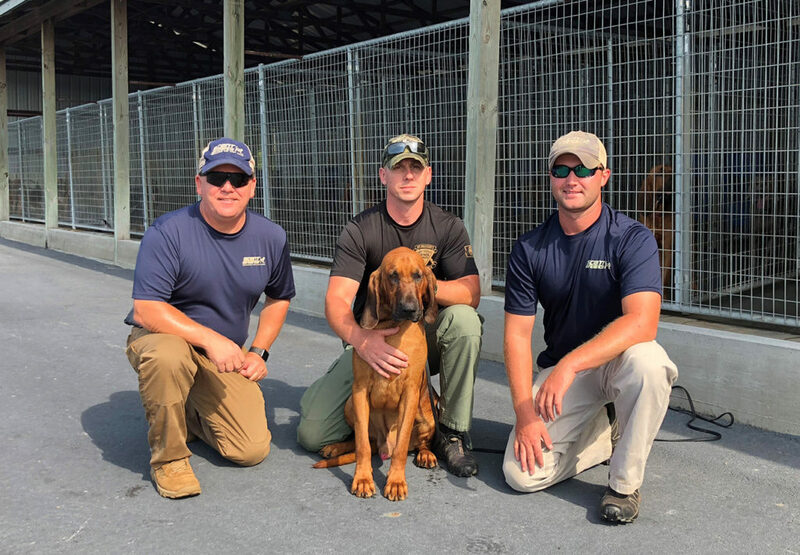 The bloodhounds trained at Scent Evidence K9 utilize the registered M77® training plan developed by Coley and has an 80% confirmed trail rate. A vast improvement over typical Search and Rescue methods that are only effective 6% of the time. 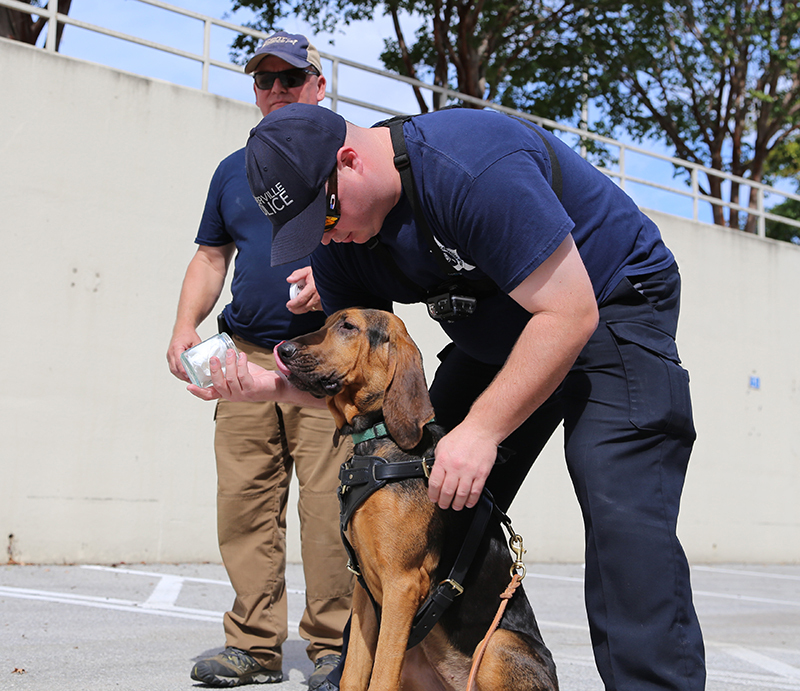 In addition, Scent Evidence K9 scent discriminate bloodhounds are trained for a passive alert response and sit when they locate a target. This is extremely important when using K-9 resources to search for missing children or the elderly who are at risk for wandering due to Autism and Alzheimer’s Disease. 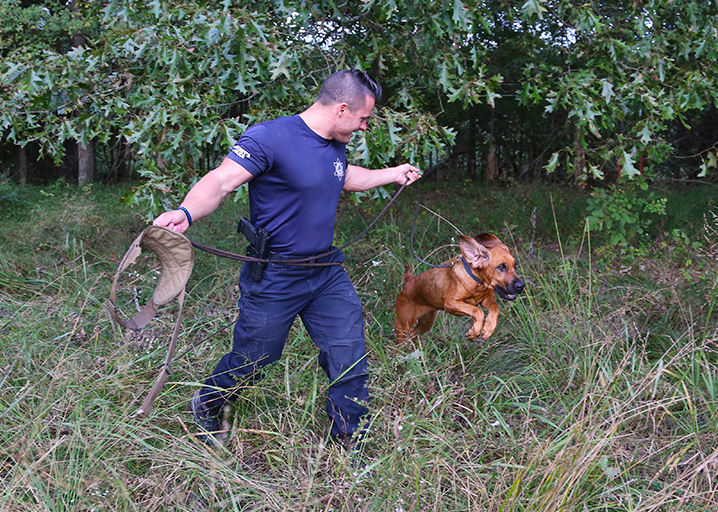 In a recent court ruling (Melgar Melgar v. Greene), the United States Court of Appeals ruled that the use of “find and bite” dogs are not the right tool for missing person searches where the target is not considered dangerous. 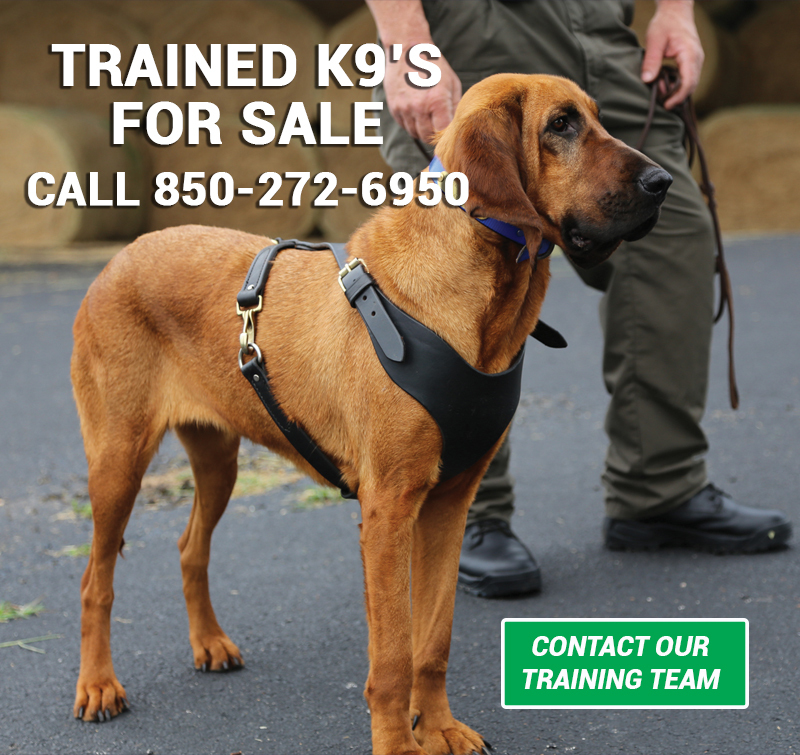 Scent Evidence K9 also trains handlers to maximize the potential of our scent discriminate bloodhounds to achieve the best possible results. “Establishing the bond of trust between dog and handler is essential,” said Coley. Naperville Police Officer, Michael Buckley, was one of the first law enforcement handlers to receive training at the SEK9 Training Headquarters in Bolivar, TN when the company expanded it’s training operations in Oct. 2017. 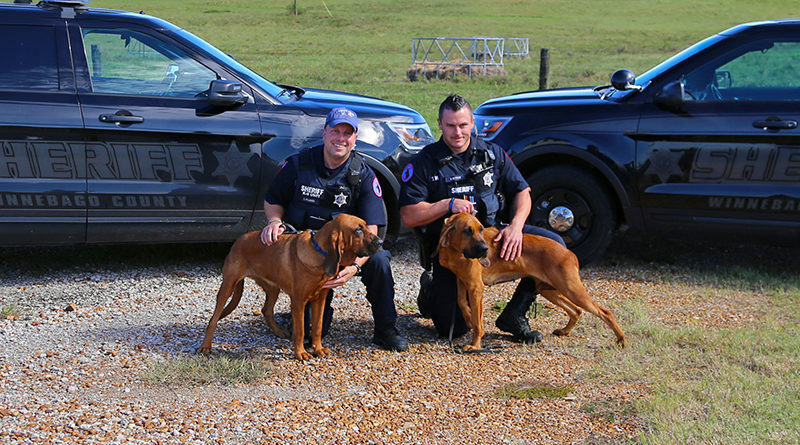 Officer Buckley and scent discriminate bloodhound, Jill, bonded instantly throughout the intense week-long initial training. Within 24-hours of arriving back in Naperville, IL, the new K-9 team received their first call. 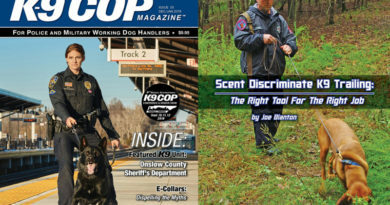 Coley states, “During the K9 Handler Training program we introduce handlers to more effective ways to collect, preserve and utilize scent articles.” Drawing from his FBI experiences, Coley determined that obtaining the best possible scent article was perhaps the most critical component for a successful find. 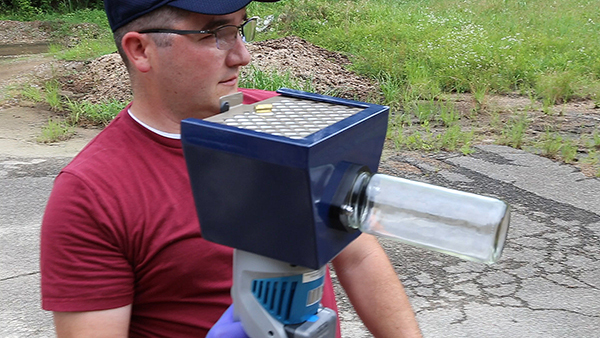 Coley has developed several products like the Scent Preservation Kit®, On-Scene Scent Collection Kit and The SEKR scent evidence collection vacuum designed to give handlers an advantage before a search begins. 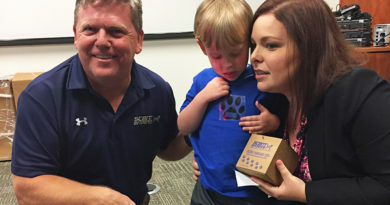 “When you start with the best scent article possible, you reduce the time it takes to conduct the dismissal process and you can begin the search right away, knowing you have a pure odor sample,” said Coley. The SEK9 CEO and founder had recently used the device himself to obtain scent from a missing FSU student’s dorm room. Officer David Wirthlin, from the South Salt Lake City Police Department, was one of the first to see The SEKR in action. Officer Wirthlin obtained human scent by vacuuming a spent shell casing for one minute and used it to locate the target who had loaded the weapon. The collected odor led Wirthlin and his new bloodhound, Kelly, directly to the target. 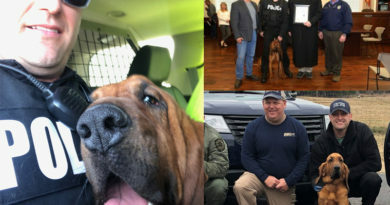 Coley added, “We are proud of the jobs our scent discriminate bloodhounds are doing for law enforcement agencies like The West Virginia State Police, Fairfax Police Department, and others across the nation. Our goal is to place these resources within an hour of any missing person event in the country. We are thankful for our agency partners and their commitment to creating safer communities.